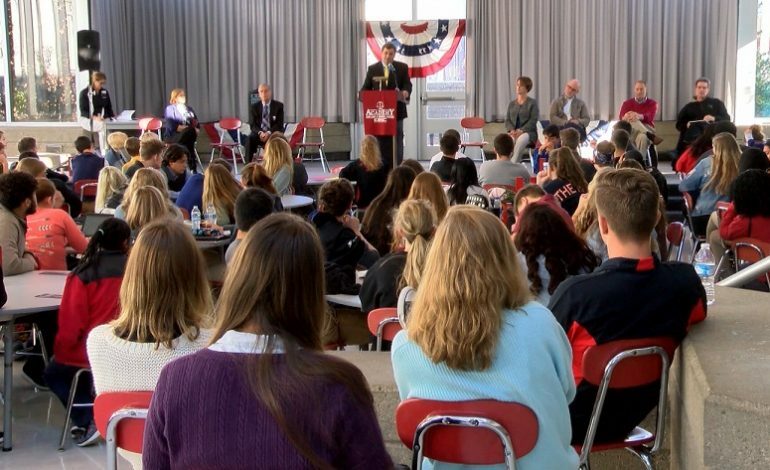 Harrison High School was host to a number of candidates hoping to win over voters in the upcoming midterms. EVSC’s Randall T. Shepard Leadership and Law Academy invited candidates running for both county and state offices to speak at the event. Students were given the chance to hear viewpoints from various candidates on both sides of the political aisle. The midterm elections will take place on November 6th, and early voting in Indiana is already underway.